It’s beginning to look a lot like Christmas at the Out of the Blue Drill Hall with a series of opportunities to fill you with good tidings, comfort and joy. Two special Xmas Arts Markets (9th & 16th) provide the opportunity to buy the work of more than 100 artists and makers, ranging from paintings, prints and photography through fashion, jewellery and textiles to ceramics, soft furnishings and design. The Xmas Arts Market on Saturday 9th December features a special Bruncheon with live music from 11.30am – 2.30pm. 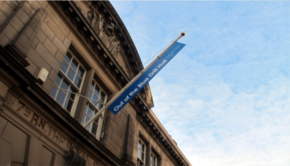 The Out of the Blue Abbeymount Studios Now exhibition (4th – 7th) showcases the work of resident artists working at Out of the Blue Abbeymount Studios in Abbeyhill. The exhibition tells the story of each artist: who they are, what they are doing, making and designing right now, as well as what currently inspires them. The newly established and exciting creative space in the old Victorian school building at the top of Easter Road is a multi-disciplinary facility promoting engagement and innovation in craft and design, as well as providing facilities, opportunities and development for professional designer-makers and the community. Seasonal workshops are currently being run which enable you to make a bespoke and beautiful Christmas. Bookings are also open for a range of new year workshops. What better Christmas gift for a loved one! Studio space at this exciting new venture is also available. Wee Flea Kings of markets bring 3 opportunities to rummage for treasure at the Out of the Blue Flea Market, Saturday 25th November, extra Flea Market on Sunday 3rd Dec and Saturday 30th December. 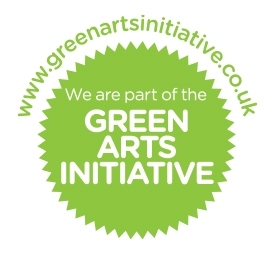 All supported by the Drill Hall Arts Cafe which offers a delicious range of home-style cooking, cakes and more. Ping Pong merrily on high at Wiff Waff Wednesday (13th), with a festive ping pong based social gathering for all ages with music, drink and great food. There is also a chance to support the Refugee Community Kitchen and have a great night out at the ping pong Hip Hop Ping-Pong Fundraiser (November 26th). And a Freeze Frame and Screen Bandita collaboration (1st) offers an evening of unexpected and entertaining visual curios drawn from the Bandita archive (1st). 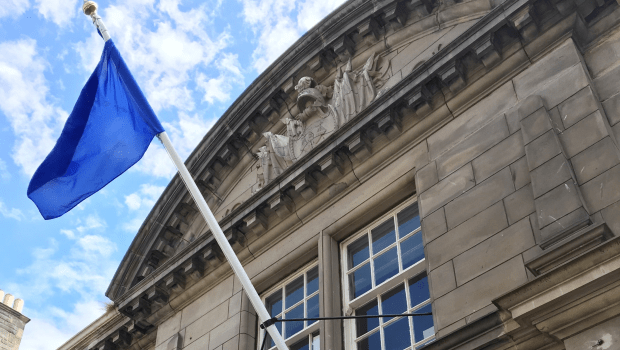 Out of the Blueprint are delighted to be hosting this year’s Edinburgh Comic Art Festival in partnership with BHP Comics. The one-day extravaganza (2nd) features stalls from over 40 comic makers and publishers, and a host of presentations and workshops – offering advice, tips, insights and techniques. As part of the day, we’re offering under 25’s the chance to print their own comic using Out of the Blueprint’s risograph printer and a commission-free stall for all Scottish based comic makers and zinesters. 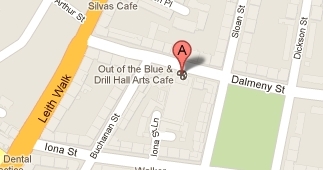 The Out of the Blue Drill Hall Arts Cafe closes for business from 24th December and re-opens on Wednesday 3rd January. Open for Flea Market on Saturday 30th December.